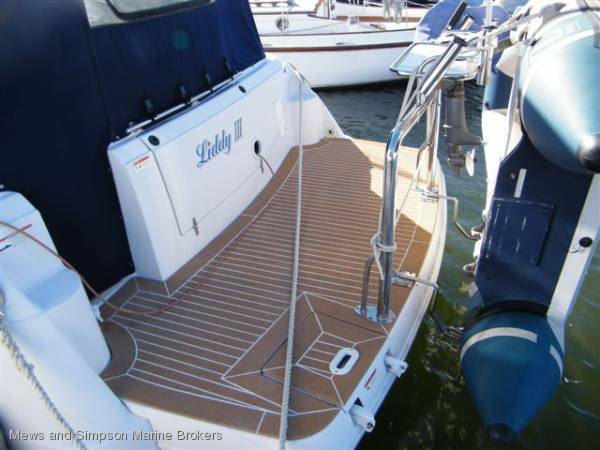 Four Winns Vista 328 - one of the best designed and finished sportscruisers in her class. Top USA quality throughout. 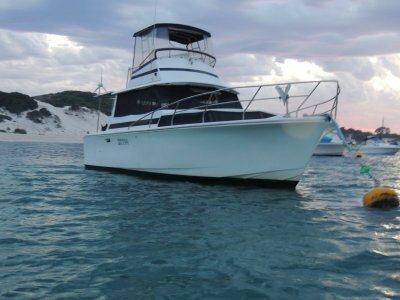 Twin Volvo engines [very low hrs] just had major service, sleeps 4 persons, accommodation is airconditioned, galley, shower and toilet. Gen set. 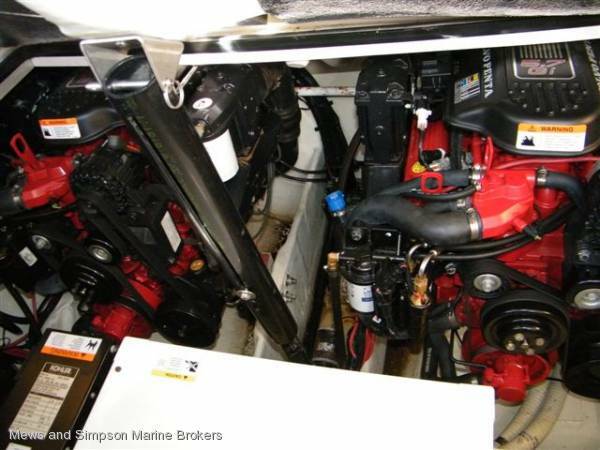 2 x Volvo Penta 5.7 Gi, with fuel injection, very well maintained, just serviced with new risers and manifolds installed. 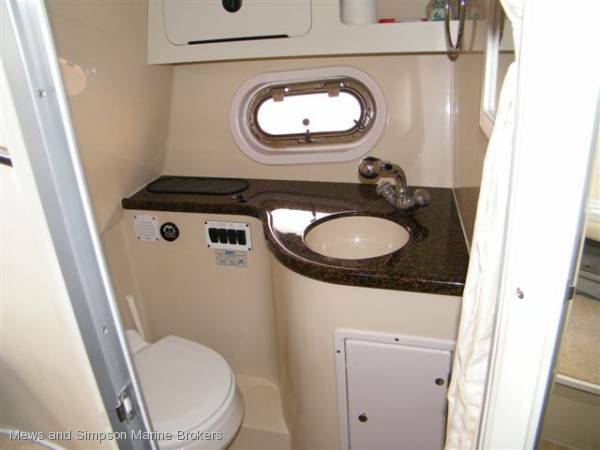 Engine room: Easily accessed thanks to the electrically operated hatch lift. 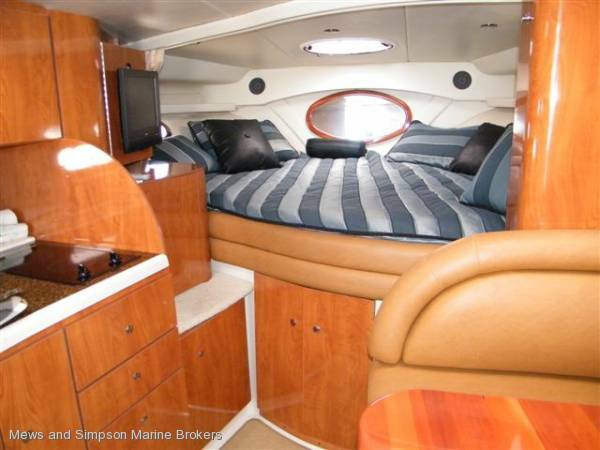 2 sleeping areas allow for a double in the forward area, and another double towards the rear. One in the bathroom, one on the back deck. Yes, electric toilet with holding tank. 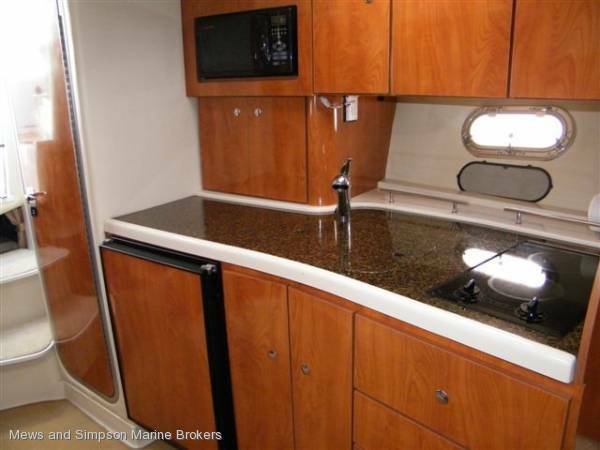 Fully equipped galley with fridge, two burner hob, microwave oven, stainless steel sink, hot and cold water, and ample Corium type benchtops and storage space. Electric anchor winch with chain and Delta anchor. Life jackets, fire extinguisher, flares. 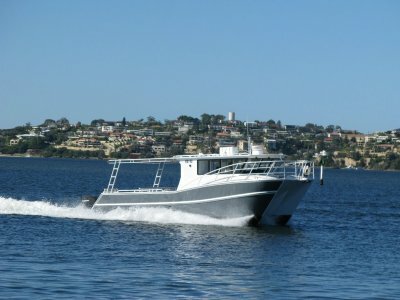 This vessel was delivered new into WA so all mains and genset power is 240 volt. 3 x 12 volt batteries with isolating switches and switch panels. Air conditioner, search light, Clarion CD stereo, flat screen TV. 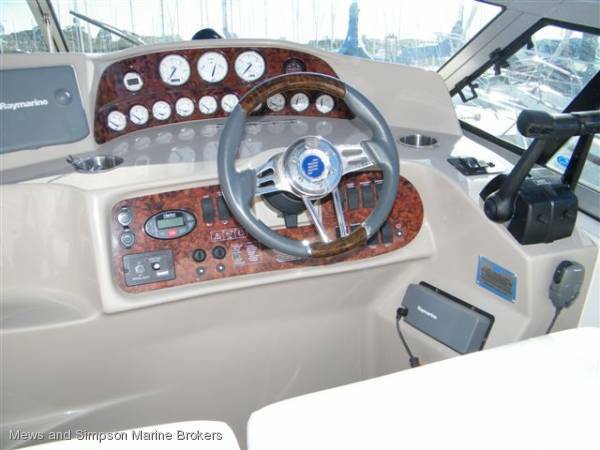 Raymarine C80 combo PLOTTER/ GPS / SOUNDER, Raymarine VHF radio. 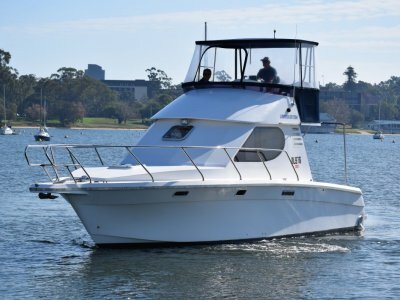 Extra fridge mounted in cockpit, St/ steel BBQ bar mounted on the swim platform, st/ steel BBQ, bait board, snap davits for mounting tender. A very clean example of this popular model sportscruiser. 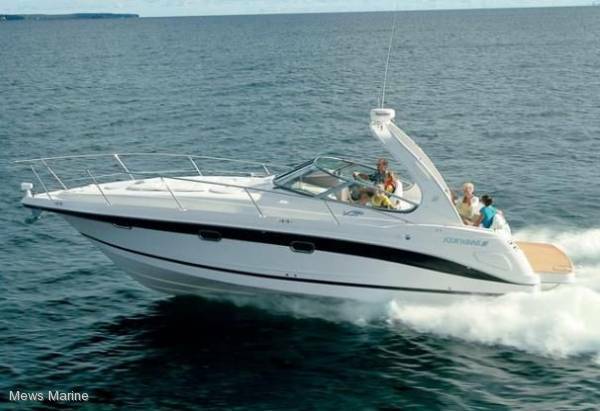 The Vista 328 is well known to be a very roomy boat for her size. 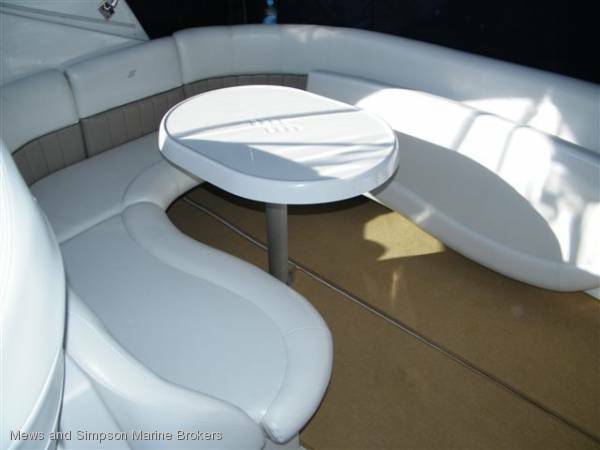 This one is spotless with a host of popular extras. 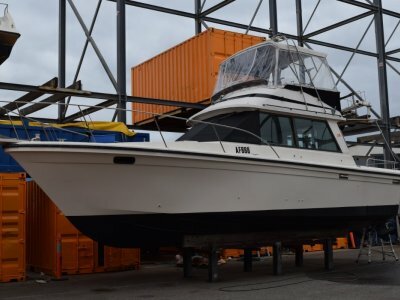 The owner has recently completed full engine service, hull antifouling strip down with fresh primer and antifouling paint. 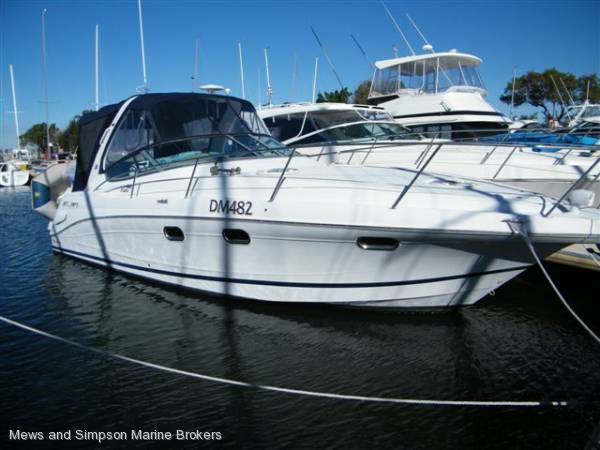 Call Steve Green 0401 656 415 to view this boat.